This new line of transformerless single-phase inverters completes the UNO family as an optimal solution to maximize the ROI for residential systems. The new design wraps ABB’s quality and engineering into just 12 kgs thanks to technological choices optimized for installations with a uniform orientation. 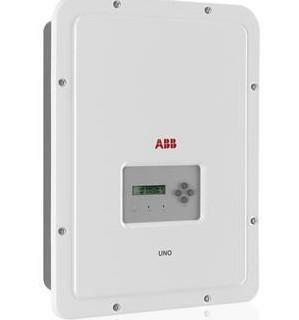 The presence of Plug and Play connectors accessible from the outside of the inverter enable a simple, fast and safe installation of the unit without the need of opening the front cover. The compatibility with the VSN300 Wifi Logger Card (optional) assures an advanced and cost effective solution for the control and monitoring of the plant, without the need of further components.